This time around, Tae-ik appeals more to me, compared to Kang-hwi. Maybe because his screen time is longer compared to Kang-hwi. I’m getting used to his style and his comic reaction is hilarious. Someone really need to help him fix his bad behavior so that he’ll become more likable, but he’s slowly growing on me. Woohoo! I never thought I’d actually watch Full House Take 2 this soon! It began airing last Monday and I just had to give it a try because of Park Ki-Woong. I totally made a right decision because he is so adorable in this drama! 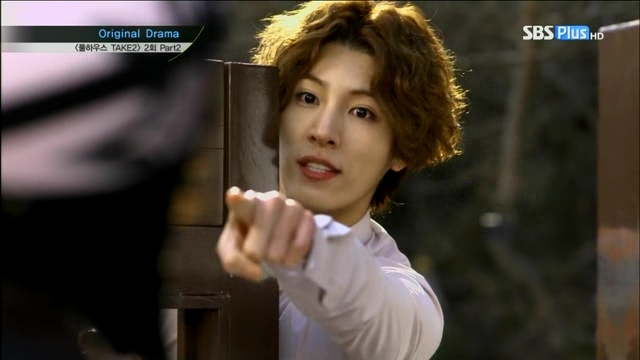 But soon after, I find myself amused by the hot-tempered No Min-Woo, although his makeup does freak me up a little.